Boris Johnson, the former mayor of London and a prominent proponent of Brexit, is speaking after the UK voted to leave the European Union. The vote “does not mean that the UK would be in any way less united,” he said. 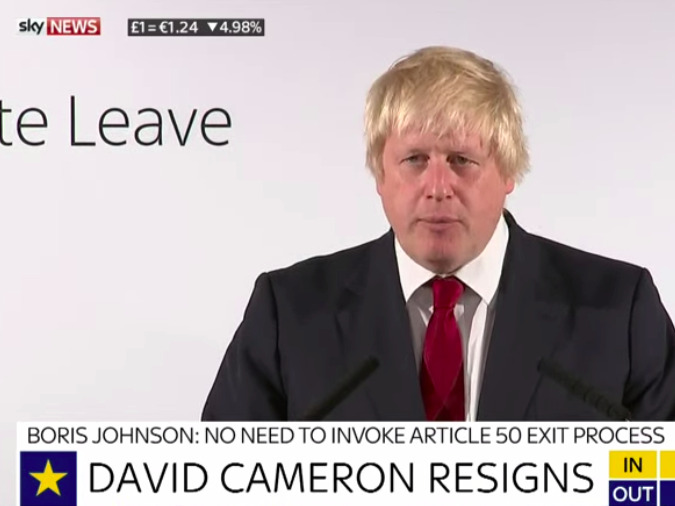 Johnson is favoured to succeed Prime Minister David Cameron, who said he would resign before autumn. “The British people have voted to leave the European Union and their will must be respected,” Cameron said in a press conference Friday morning. Johnson, who thanked Cameron for holding the referendum, said he agreed with that there is no need to immediately invoke Article 50, the law that needs to be enacted to start negotiations to leave the EU. 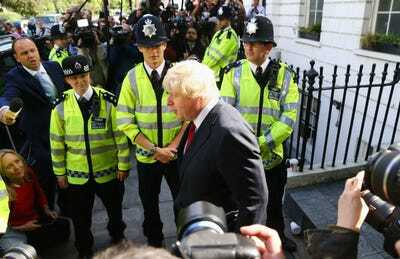 The ex-London mayor, surrounded by police, was booed by crowds outside his home as he got into a cab headed to Vote Leave headquarters earlier Friday. Gareth Fuller / PA Wire/Press Association ImagesBoris Johnson leaves his home in north London, after David Cameron announced he will quit as Prime Minister by October. Britain voted to leave the European Union by a final vote of 51.9% to 48.1%. The historic outcome has sent shockwaves through the markets. The pound collapsed to a 30-year-low after several TV news stations called Leave as the winner in the early hours Friday morning in London. UK Independence Party leader Nigel Farage told ITV’s “Good Morning Britain” that he didn’t know which Conservative politician he would like to step up to be prime minister, but that he doesn’t want the job.